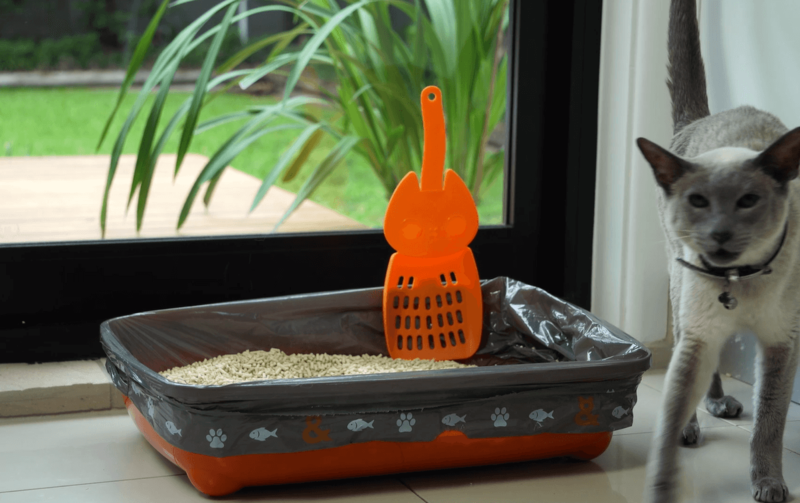 Home / Blog / Get hooked on the purrfect litter scoop! Get hooked on the purrfect litter scoop! A litter scoop is an essential accessory to any great cat litter. The trouble is, no one likes having a dirty (and probably germy) scoop lying about on the laundry or bathroom floor! As cat parents, we get it - and we set out to solve this messy problem. The answer? The Coco Hook-On Litter Scoop! Coco is not just the cutest scoop you've ever seen, it also features a patent pending hook on design that allows it to sit neatly on the side of your litter tray, so it's ready for action whenever you are! Coco also has a hole in the tail to enable it to be hung from a hook if you prefer. At just $3.99 - Coco is a great value accessory that will brighten your day, everyday.